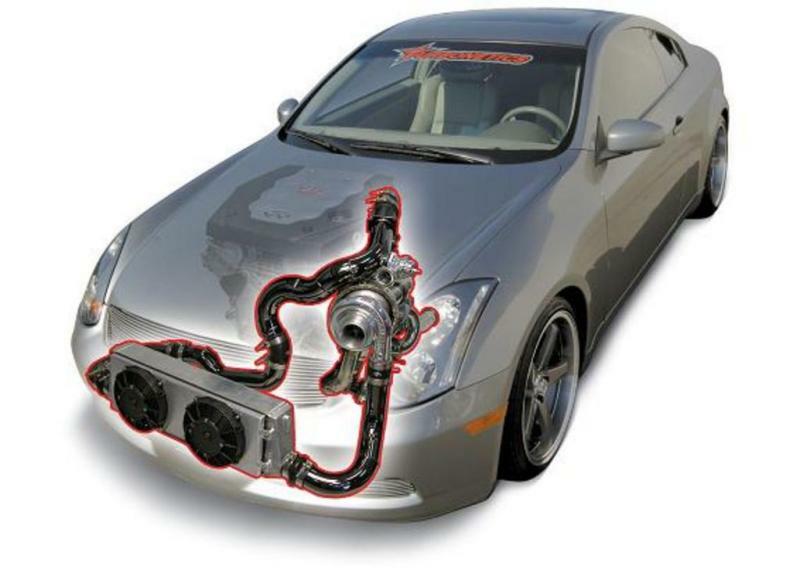 Treadstone Tuner Turbo Kit - Infiniti G35 INFINITI - Dezod Motorsports Inc - Home of the automotive performance enthusiast since 2002. Treadstone offers complete turbo systems – from air entry to exhausting to the catalyst. 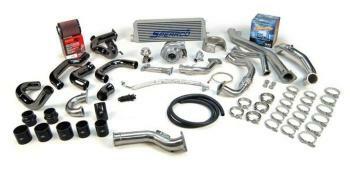 The Treadstone Tuner Turbo Kit is a true O.E. bolt-on that does not require ‘’hacking’’ in order to install. Pieces mount to existing factory positions and maintain all optional equipment including air conditioning. With these kits you no longer have to worry about 4 – 6 weeks of downtime to get a kit fabricated because our kits can be installed within 8 – 12 hours. In addition, you don’t have to worry about inexperienced tuners experimenting with your car, because our fuel and ignition management systems come pre-programmed to maintain a consistent air/fuel ratio and timing control under all conditions. Unlike others, we can back this up with the MoTeC or Horiba real-time five gas air/fuel meter and in-house dyno testing. The only thing that the ‘Tuner’ Turbo Kits don’t include when compared to the standard kits is a fuel pump and injectors – opening up your options for fuel delivery or accommodating what you already have upgraded.